This versatile sweat shirt is built for cold days. Wear it on the golf course or in the clubhouse. The heavyweight fabric will keep you warm without weighing you down. The Adidas Beyond 18 Crewneck sweat shirt is made from a soft polyester blend that offers resistance against shrinking and wrinkles. The 4-way stretch provides a comfortable fit and allows movement with ease. 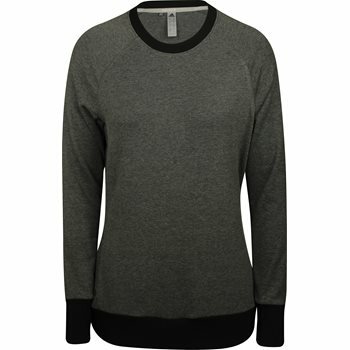 The sweat shirt is designed with a crew neck, ribbing at the cuffs and hem, and a slight drop tail.